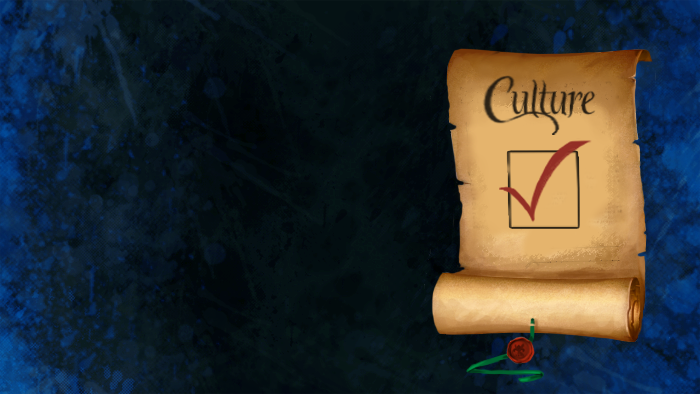 Choose a new culture for your character. Change as often as you'd like. Regret your choice of culture? Has your character's backstory evolved in new ways? Keep things current by registering your updated cultural affiliation! Appearance: "A Cultural Registration Document"